Can maverick Lanthimos kick on with a marquee cast without losing his radical mojo? Lanthimos’ determination to drain the film of emotion leaves it feeling somewhat academic. Appreciation for the sheer conceptual confidence of the film gathers momentum once you think back over it. For Yorgos Lanthimos, in life as in the movies, it’s all in the game. In his breakthrough 2009 feature, Dogtooth, a controlling father set out to constrain his three grown-up children within a cultural and linguistic alternative universe, while his 2011 follow-up, Alps, featured a mysterious coterie of hospital workers impersonating lost loved ones to heal grieving families. This time, to go with a bigger budget and English dialogue, he’s widened the scope considerably: now it’s an entire society setting an extreme agenda, maintaining the heteronormative imperatives of coupledom with an unyielding enforcement regime. Colin Farrellʼs poor schlub, for instance, has just been dumped by his missus, so he’s shipped off to a country hotel with all the other singletons, the object being to pair him with a new woman inside 45 days – or face the consequences. Those still left on the shelf are used as hunting fodder, or at worst forcibly transformed into an animal of their own choosing. That bright-eyed collie at Farrell’s heel? It’s actually his brother, another casualty of the dating game. Okaayyyyy. If that sounds like it’s just getting a bit too silly, fear not, since the whole animal transformation angle is more of an audience-baiting ruse than an essential part of the narrative, which is more dystopian satire than surreal flouncery. Like Luis Buñuel and Michael Haneke before him, Lanthimos creates looking-glass worlds as a way of goading us into reconsidering everyday presumptions – here picking apart the social fetishisation of the couple, considering whether pairing-off in practice means faking it to match a prospective partner’s nesting checklist. For fellow inductee Ben Whishaw, that means whacking himself to force the nosebleeds he hopes will endear him to a similarly afflicted female, thus presenting his best chance of leaving the hotel alive. Fans of Lanthimos’ previous work will be glad to hear that his slightly evil sense of humour remains intact, but newcomers drawn in by the high-profile arthouse casting – a deglammed Rachel Weisz is singularly beguiling as a rather forlorn forest-dwelling loner – may take time to attune themselves to his defiant aesthetic, which bleaches the colour from the images and has his esteemed actors rather perversely dial down their performances. The intent is evidently so the film’s ideas aren’t blurred by any messy emotional resonance, probably making it easier to admire than to enjoy. 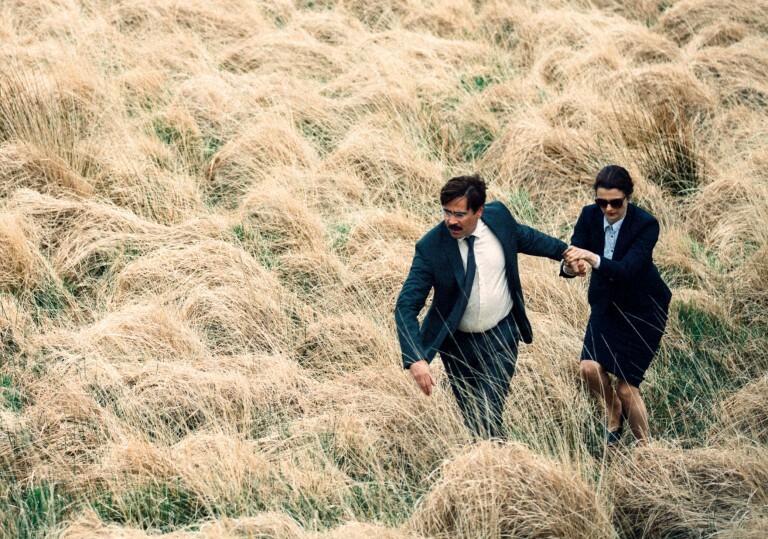 In the end though, The Lobster’s sheer thought-through singularity leaves a lasting impression, since here is a filmmaker in control of every single aspect of his craft, delivering an unusual and uncompromising vision. So often classical music is used to give a film a quick emotional fix, yet Lanthimos’ startlingly adept use of string quartets from Beethoven to Britten and Shostakovich not only sets exactly the right mood of edgy contemplation but also makes a particularly apposite thematic fit, since the quartet form remains the ultimate demonstration of how individual instrumental voices and effective ensemble scoring are both needed to realise expressive compositional intensity. Together and apart, it all contributes to the same score.